Some say not to mix business and pleasure. But the Telford Jacket’s combination of functional, weather-shielding features and city styling doesn’t play by those rules. 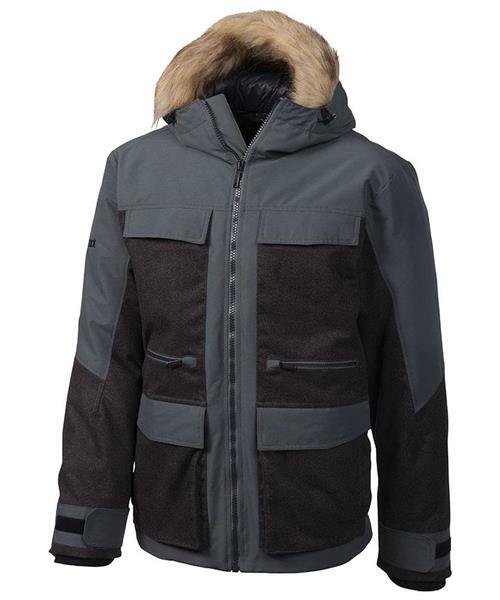 Marmot's waterproof and breathable MemBrain® fabric is filled with 700-fill-power down; an attached hood with removable fur ruff serves up the option for blistery, cold-weather protection. Made with soft knit inner cuffs, and outer cuffs with Velcro® closure, the Telford affords an assortment of utilitarian pockets.